Meet the one and only integrated digital rewards service for SurveyMonkey. Rybbon is used by 150+ SurveyMonkey customers. US eGift cards, International eGift Cards, worldwide Virtual Visa and MasterCard. Pick the perfect reward, or, let your recipients choose their preferred reward. 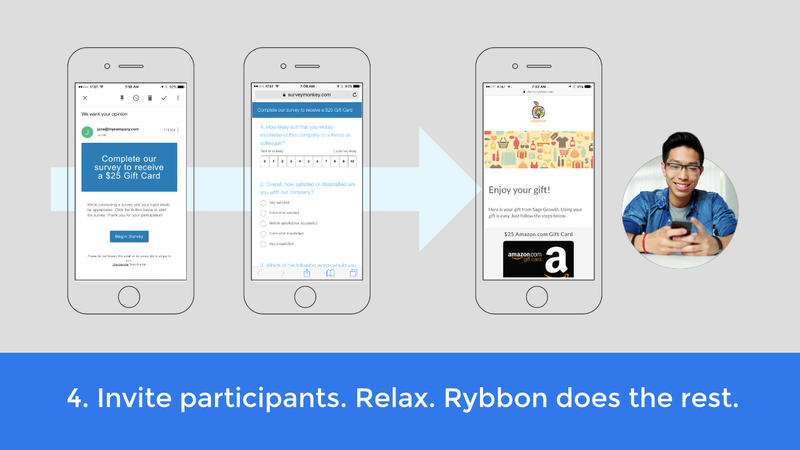 Tell Rybbon what reward to send when a person completes your survey. Rybbon’s integration even works with advanced techniques like anonymous responses and disqualification logic. Sometimes, you need more control over whom to reward and when. Rybbon makes this easy with a built-in approval system that lets you review and approve respondents individually or in bulk. 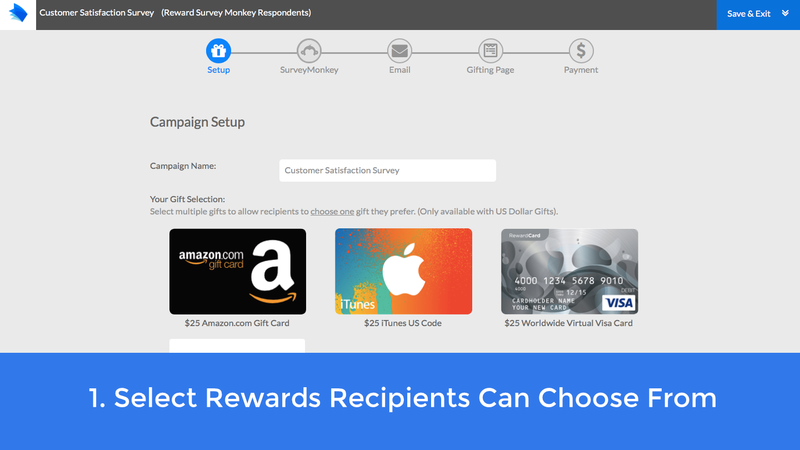 Survey rewards will arrive from your trusted email address so they are instantly recognized and don’t get lost in their inbox. 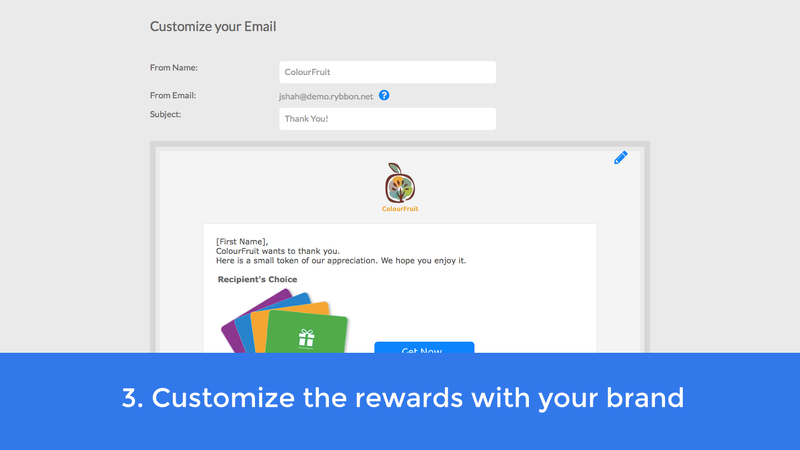 Customize the reward experience with your own logo, messaging and images. Survey participants have earned your gratitude. With Rybbon, you can say thank you and really mean it. Say goodbye to spending hours managing survey incentives. 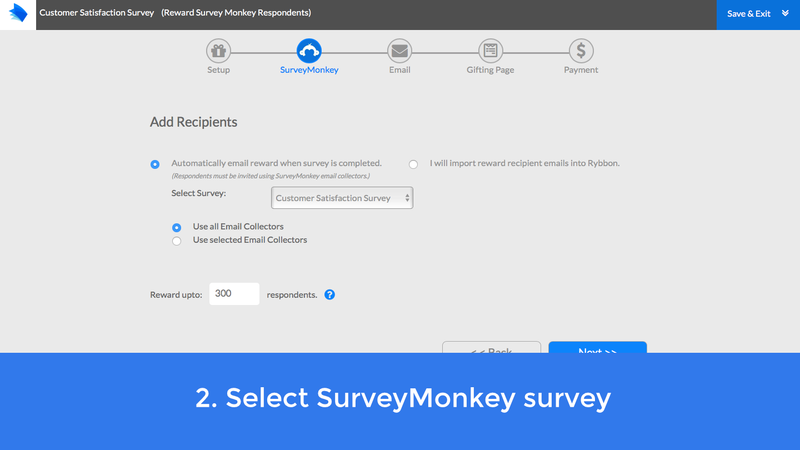 Rybbon's direct SurveyMonkey integration and reward tracking make survey incentives fast and easy. Plus, you will get 100% refund on unclaimed rewards! Big savings for what would otherwise be a big waste. No setup fees. Return gifts you don't need. Get 100% refunds on unclaimed gifts. Simply pay 10% fee as and when you order rewards. We also offer Annual Plan for customers with high reward volumes.